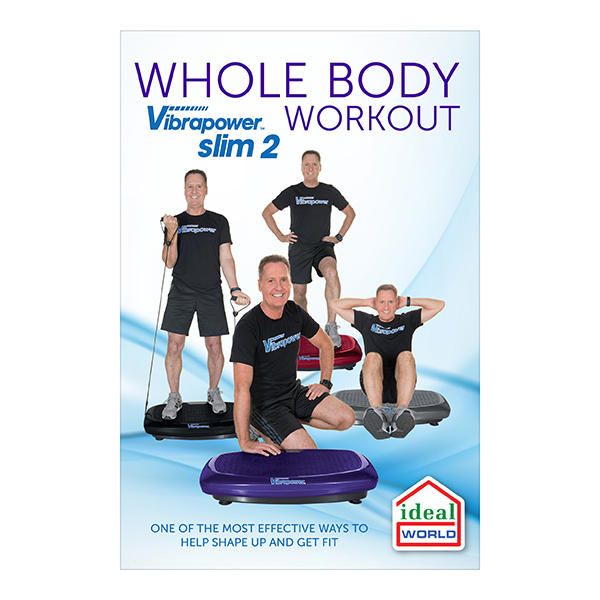 An essential accessory for your Vibrapower Slim 2 Plus, this brilliant DVD guides you through 3 full body workouts. With programmes suited to beginners (3 mins), intermediate (7 mins) and advanced (10 mins) fitness levels, the exercises included have all been selected to help shape muscles and improve general fitness. For best results, incorporate these workouts every day for as little as 3 minutes. It also features an instructed warm up and cool down, which focus on gentle Yoga and Pilates moves to start and end your workouts in the right way.